What is a pacing delay? A contractor may slow its pace of work after identifying forthcoming owner-caused delays to the critical path. Similarly, an owner may decide to decelerate its rate of production for tasks it is responsible for on the project if it foresees critical path delays which are the fault of the contractor. When critical path delays occur, the float for non-critical work sequences increases. Deceleration that is initiated by a party to take advantage of this increase in float is referred to as a pacing delay. Legal systems usually recognize a contractor’s right to decelerate as a pacing delay is realized. An example of a pacing delay is when a contractor slows down its working pace due to the owner-caused delays in providing owner-furnished equipment to the job site. Consider an activity sequence where there are two finish-start predecessor activities, Activity A and Activity B, to a third activity, Activity C.
Say a contractor can complete a task in five days with a crew of two men. If the owner-dependent Activity B, which was also takes five days, is delayed then it will create additional float for the relationship between Activity A and Activity C equal to the delay duration of Activity B.
Decelerated activities in the case of pacing delays are not necessarily on non-critical paths. They may be on parallel critical paths but, an owner-caused delay to an activity one of the critical paths pushes out the project completion date resulting in the increase of float to the unaffected parallel activity sequence. This is shown in our above example. In this case, a contractor’s decision to decelerate some unaffected scopes of work will consume project float. If such deceleration is managed properly, the float consumption rate can be maintained such that pacing delays do not exceed the owner-caused delays. Pacing delays cause concurrent delay because a contractor-caused pacing delay falls within the same period in which owner-caused delays arise. Since concurrent delays are typically handled by awarding excusable, non-compensable time extensions, pacing delays initiated by the contractor entitle the contractor to receive a time extension but not any delay damages. Depending on agreed-upon definitions for concurrent delays there might be slightly different implications to the way concurrent delays are handled. For instance, if parties recognize only parallel critical-path owner-caused and contractor-caused delays as concurrent delays, pacing delays would not always be treated as concurrent delays. If the owner causes critical-path delays, contractor-caused pacing delays to non-critical work consume project float. Float consumption may adversely affect the critical path, but if the contractor manages float consumption rate properly, those adverse effects can be prevented. Although contractors decide to slow down their working pace usually to maximize their profit, contractor-caused pacing delays may also benefit the owner. Pacing delays that are considered concurrent discharge the owner of at least some delay damages that might otherwise have been owed. 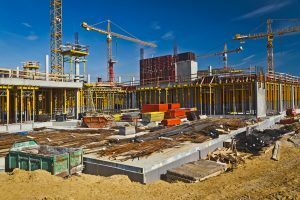 These benefits are due to the fact that concurrent delays are typically non-compensable and the owner is not liable for delay damages to the contractor. Therefore, pacing delays can play a role in decreasing the total duration of compensable delays to the benefit of the owner. The decision as to whether or not a contractor should slow down its working pace needs to be made carefully to ensure all consequences are considered and the contractor is prepared to adjust its working rate when project conditions require. To learn more about VERTEX’s Construction Claims Consulting services or to speak with a Construction Expert, call 888.298.5162 or submit an inquiry.